Jack Grace (left) and his Band from New York city, with Tom Hanway (USA), now resident in Ireland, on 5-string banjo, are among the many bands taking part in the Guinness Rhythm & Roots Festival in Kilkenny city, Ireland, from tomorrow till Monday 4 May. 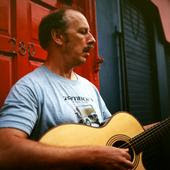 Other dates played by the Jack Grace Band in Ireland are shown on the Bluegrass Ireland Blog. The Pilgrim Sisters (right) from Sweden, who play the songs of the Stanley Brothers, Louvin Brothers, Delmore Brothers, Patsy Cline, the Carter Family, Bill Monroe, Johnny Cash and original material, are the closest to a bluegrass band among the other groups on the Kilkenny lineup. Also taking part are several of the new crop of Irish 'fusion' bands, combining elements of alt.country, old-time, Cajun, folk, and bluegrass - examples include the Prairie Dawgs, Cotton Pickin' Rodeo Clowns, and Tupelo. Sophia Johnson, guitarist and singer with the Toy Hearts of Birmingham, England, UK, and producer of the band's monthly newsletter, is scheduled to feature in the USA's Flatpicking Guitar Magazine. The European Bluegrass Blog sends warm congratulations to Sophia and the band, and looks forward to publishing further details. The GrevenGrass Festival is on the home stretch. We hope for active participation on Whitsuntide 2009 in the Greven meadows. A first glimpse at the premises can be gained here. So, come on Friday, leave on Monday! Because there is the camp. It is located behind the Ems levee near the indoor swimming pool. Visitors have the opportunity to stay over with camper, trailer, tent, etc. Sanitary facilities (toilets, hot showers) are available at the local indoor swimming pool next door without further cost for camp-attendees; a water tapping point will be set up at the camp. The camp will have further toilet cabins. At the camp we hope for multiple jam sessions, interesting contacts among the attendees, musical networking, and a sunny weekend. If a roofed sleep-over is the way to go, here’s the link to the Greven accommodation directory. What about food and drinks? In the Ems meadows there is the Strandbar, that will provide catering for the festival on its own accord. At the camp a baker will set up a stand for the morning coffee and some cake in between. Barbecue is in planning. Record sales folks have announced their coming. The Ems-stage has access free of cost. On Saturday and Sunday between 3:00 p.m. and 9:00 p.m. Bluegrass Cwrkot (CZ; #1 audience popularity award EWOB Festival Voorthuizen 2008), Dessert (CZ; #2 EWOB Festival Vöhringen 2004), Lazy Tater (NL), Strictly Bluegrass (München), L-Bow Grease (Bochum) will show their musical power. Ambitious musicians have the opportunity to present their abilities on the open stage. A time slot of one hour each day is provided for. We are looking for brisk interest. The - nongratuitous – concert in the high school hall (seats 360, c.200 m from camp) will take place on Sunday. Between 7:00 p.m. and 0:00 p.m. White Mountain Bluegrass (USA), J.B.’s Band (USA, CAN, CH, NL), Looping Brothers (Lengerich), and the Grassroot Philosopher (Magdeburg) will entertain the audience. A break provides the chance for refreshment. And what’s the cost? We are of the opinion that prices ranging from €12,50 (single ticket camp or concert for children from 7) up to €45,00 (Camp and Konzert Combo) is a more than fair price. Those who get their tickets in advanced booking (via email) will enjoy the advance booking discount. See the details here. May 2-9 Old-Time Music Week with Dave and Tim Bing. May 10-17 Old-Time Music Week with Dave and Tim Bing. Focus on banjo, fiddle, and guitar technique, repertoire, and ensemble playing. Other instruments welcome. If you are interested in filling one of the gaps please contact Kate Lissauer before Thursday 30 April. Phone +44 (0)1373 474110 or e-mail. The organising committee of the European World of Bluegrass (EWOB) Festival 2009 at Voorthuizen, the Netherlands, is proud to present two very special new workshops by American experts, especially geared to the needs of European bluegrass musicians. At 14:00 (2.00 p.m.) on Saturday 23 May, Julie Black will give the Appalachian clog dancing workshop. Julie is a long-time Appalachian clogging performer and instructor who has taught teams and workshops for nineteen years and has won more than 100 trophies as a solo dancer. No musical talent or instrumental ability is required to enjoy this workshop. You sing a verse or a chorus of a very well-known bluegrass standard - and then Mac, Hazel, and Fayssoux will sing the same thing in their own styles. Because it's a song you know so well yourself, you will really notice the subtle nuances of their vocal 'attack' and phrasing. Bring a recorder if you can, so that you can take these lessons home with you and study them closely. Other EWOB Festival features include the instrument raffle (Blueridge BR-70AS guitar, donated by Boetzkes Snaarinstrumenten) and the instrument auction (Vega Bluegrass Wonder banjo, donated by Deering, and Čapek President bluegrass banjo, donated by Čapek Instruments). The Gibson F-5 Lloyd Loar mandolin #72207 (26 Feb. 1923), with which Joe Val performed and recorded exclusively from c.1970 till his death in 1985, is for sale. Restoration and repair work has been done by New England luthier/repairman Kenneth Miller (1972), and by David Harvey (2006) at the Gibson Showcase in Nashville, TN. It comes with the original rectangular case (which has the original Gibson sales tag and key), pre-restoration original parts, and documentation. Photos can be seen here. Since 1986 #72207 has been in the care of, and exclusively played by, Kevin Lynch. For price and further details of this historic instrument, serious buyers should contact Kevin, who will deliver it by hand if at all possible. Berklee College of Music in Boston, Mass., USA, was founded in 1945 for education in jazz and other contemporary genres of music - including, increasingly, bluegrass in recent years. The college, which includes students from more than seventy countries, opened a recruiting campaign in Ireland in mid April 2009. The first phase (13-17 April) consisted of a series of improvisation workshops in the music department of the Dublin Institute of Technology (DIT), to allow students to study with Berklee's world-renowned faculty. Next (18-19 April), auditions and interviews were conducted by Berklee admissions officers and professors, to assess students for scholarships for summer and full-time study in Boston. A free, public improvisation symposium was held on Wednesday 15 April, open to people involved in all forms of music. Berklee faculty members who took part included Matt Glaser, Berklee's chair of strings and author of Teach yourself bluegrass fiddle (Oak Publications) and many other books and recordings, and John McGann (right), both of whom were original members of the Wayfaring Strangers band, Rounder recording artists. Thanks to Kevin Lynch of Connecticut, now resident in the Netherlands, for drawing the attention of the European Bluegrass Blog to this event. The New Acoustic Gallery in Solingen, Germany, has published the flyers (left: the front of the flyer) for its 1st International Mandolin Festival (29-30 August 2009): the artists taking part are Mike Marshall (USA), the Don Stiernberg Trio (USA), Caterina Lichtenberg (D), the Trio Vibracao (D/DK), and Mando Nuevo (NL/D). The Gallery's recently acquired instruments include a 1921 Gibson H 2 mandola with original case; a Stealth 5-String banjo in mahogany from Scott Vestal (right); a Nechville Meteor Custom electric banjo; and two 1982 Liberty 5-string banjos - a 'Quadrille' and a 'Buckdancer' - built by Bob Flesher. Further details are on the NAG website. Hallo und viele Grüße an alle Bluegrass-Freunde, die Sorefingers-Woche in England war wieder ein Schauplatz der Superlative. Anl. 2 interessante Links! Greetings from ole Germany! It has been said - but not by everybody yet: Wasn't that a great time at Sorefingers 2009? I just wanted to say Hello and thank everybody for this BG-Mega-Happening (close to Woodstock, ain't it? - or was it Churchill...?). Some of you might wanna take a look at the site of the new Grevengrass Festival we're launching in north-western Germany. I also just heard I was posted at YouTube, jamming with my friends of 4 Wheel Drive at the Banjoree 07. Here's a link in case you're interested. See also several other videos on the YouTube channel set up by Jan Michielsen of 4 Wheel Drive. Thanks to Lluís Gómez for sending a link to a six-minute video on the 2005 edition of the Al Ras Bluegrass & Old-Time Music Festival, with commentary in Catalan. The artists shown include US mandolin wizard Tom Corbett. The 8th Al Ras Bluegrass & Old-Time Music Festival will be held on 7 November 2009 at Mollet del Valles, Mercat Vell. The lineup includes Joan Pau Cumellas & Miguel Talavera, Manuel Mendez & Friends, Hibernia, Montnegres, Homenatge a Xesco Boix (with Oriol Bargallo, Lluís Mª Pallenya and more), Barcelona Bluegrass Band, Pilimiki & the Old Ruin Boys, more TBA. My work in bluegrass music is as a host on the Bluegrass Mix, an internet radio station streaming 24/7 with bluegrass, country and gospel. A schedule of all DJs is on the page titled 'Schedule' and individual info on DJs on the 'Hosts' page. I play music from any country that has bluegrass bands, and I also play some country music from other countries. I am always looking for music from other countries; that is why I wanted to join EBMA. My programs are from 9.00 a.m. to 12 noon (EST USA); on Monday and Thursday it's Bluegrass, Tuesday and Fridays it's 'Country legends' (1989 and before), with primary music taken from the Billboard magazine surveys during that period. On Sundays I play Gospel from 2.00 to 5.00 pm. (EST USA). Listeners can keyboard with other persons in a 'Chat room' on the website and request songs... which I can usually pull up and play during my programs. We have listeners from every continent except Antarctica. Recently I checked IPs for listeners and found over a dozen countries in Europe listening. I hope to see some Europeans at IBMA in Nashville, TN, in October or SPBGMA in February 2010. I do include songs from EWOB CDs which I purchased at IBMA. And I have met a number of bands and their members at IBMA, including one of my favorites, the Mideando String Quintet out of Italy. EWOB music is played on the Monday and Thursday show for bluegrass. Everyone is welcome at the MIX and we strive to provide the music you want to hear. This was my first concert during my last visit to the Czech Republic. I arrived the same day, in the afternoon. Pavel Bobek is an old Czech country star, who is celebrating his fifty years on stage this year. Not bluegrass, but a great singer. Back in the 1970s my friends sent me his first LP: Ved mne dal, cesto ma… ('Country roads'). On the album there were songs of Kris Kristofferson, John Denver, and many others with Czech lyrics. I listened to that recording maybe a hundred times in a row. I just loved it. In 2005 Lubos Malina (right) of Druha Trava produced his last album, Pavel Bobek-Muz: ktery nikdy nebyl in ('The man who was never in'). Of course, he also took part in the project. Pavel asked Lubos to put up a band for him. So the Malinaband was born. The members are also musicians of Druha Trava: Emil Formanek (guitar), David Lanstof (drums), Petr Sury (bass), Lubos Novotny (dobro, lap steel), and Lubos Malina (banjo, guitar, mandolin, whistles, saxophone, and so on). Lubos can really play everything. At this concert he played on five instruments. On keyboard was Ivo Viktorin from the band AG Flek. Pavel Bobek started with some of his old hits; in the middle of the concert Robert Krestan came as a guest and sang some of his beautiful songs, and then together with Pavel one from his last Czech album, Dylanovky ('The songs of Bob Dylan'), 'Not dark yet'. The end of the evening belonged to Pavel Bobek again. For me, it was the first Pavel Bobek concert in my life. I have seen him a couple of times just as a guest of Druha Trava. So I was very happy. It was not allowed to take pictures on the stage, so I just took some backstage. Here they are! The Carter Brothers, Danny and Tim, from Virginia, USA, will bring their band to Europe in the summer of 2009 for a tour beginning on 18 June in Dublin, Ireland. They are scheduled to play fifteen dates in Ireland, then cross the water to headline the 21st North Wales International Bluegrass Music and Dance Festival, and end the tour on 9 July in Barcelona, Spain. Full details are on their website. In late September they will return to Ireland for the 8th Johnny Keenan Banjo Festival in Longford, Ireland, where they have become established favourites. Also appearing at the Longford festival this year are Blue Highway. Thanks to Lilly Pavlak for a report and photos of the final show in the recent European tour by the Kruger Brothers, which was presented by banjo-maker Jarda Prucha in the Novodvorska cultural centre in Prague on 7 April. The show was opened by Monogram. Lilly points out that the Krugers have had friends and fans in the Czech Republic for a long time. Jens Kruger (left) was the first member of Bill Monroe's Blue Grass Boys from outside North America. When the brothers began touring in the USA, they found that the audiences there loved the Krugers' own music. They moved to the US seven years ago and are now based in North Carolina. Jens Kruger helped to design the top range of Deering banjos, made by Greg and Janet Deering (right), and played a Deering for most of the concert. However, at the end he switched to a Prucha banjo to play the final encore, 'Orange Blossom Special'. Read Lilly's full report here. On 13 April the European Bluegrass Blog reported the recording of a new album by the G2 Bluegrass Band of Sweden (#1 European Bluegrass Band 2007). Yesterday the International Bluegrass Music Association announced that G2 are among the thirteen acts chosen to present official showcases at IBMA's World of Bluegrass 2009 from among 121 applications. Further details are on the Bluegrass Blog. The European Bluegrass Blog gives its warmest congratulations to G2, and looks forward to their keeping this solid roll going! On 13 April the European Bluegrass Blog mentioned the concert given in March by the Kruger Brothers at Steve Noon's Eagle Music shop in Yorkshire, England - which is the world's #1 seller of Deering banjos. Another distinguished and innovative US banjo company will be represented there this summer when Tom Nechville of Nechville Musical Products arrives on 2 July. It is hoped to arrange a workshop and demonstration of Nechville instruments for all banjo players who may be present. Audie Blaylock & Redline, who have just been chosen as official showcase artists for IBMA's World of Bluegrass 2009 in Nashville, will make a brief tour in Europe in early July. The first show is on 8 July at Cor Sanne's Turfschip venue, in Nieuwkoop, the Netherlands, starting at 20.00 hrs. Tickets can be obtained via CMS Productions, P.O. Box 5, 2420 AA Nieuwkoop (NL); telephone +31-172-573118 or e-mail. Audie Blaylock's CV includes long periods as guitar or mandolin player with Jimmy Martin, Rhonda Vincent & the Rage, and Michael Cleveland & Flamekeeper, as well as a Grammy® nomination for Best Bluegrass Album and an IBMA nomination for Recorded Event of the Year for A tribute to Jimmy Martin: the King of Bluegrass. Thanks to Dennis Schut for the news that Dr Ralph Stanley & the Clinch Mountain Boys will be playing in concert at the Barbican Centre, London, on 27 May 2009. See the Barbican calendar for a booking link; the event is part of the Barbican's spring sale programme. Dr Stanley and the band are also scheduled to appear at 8.00 p.m. at the Pavilion, North Parade Road, Bath, on Friday 29 May, as part of the Bath International Music Festival. Other bluegrass-related performances and showings of the Coens' O brother, where art thou?, John Cohen's That high lonesome sound, and The Appalachians will take place in late May; see Richard F. Thompson's post on the Bluegrass Blog (17 March 2009). And thanks to Dee Hallett for the news that there will also be a show at Manchester Academy 2 (in Manchester University Student's Union building) on Saturday 30 May. Tickets (£22) are available from Ticketline (+44 (0)161 832 8111 or online) and from the Academy box office (+44 (0)161 275 2930). Ample, secure, and cheap parking is adjacent to the main academy venue. Details of the gig and venue information can be found here. No other shows by Dr Stanley and the band are scheduled in Europe on this trip. More details are on the websites of Goldheart and the Scottish Bluegrass Association. The original Bluegrass Blog reports that the G2 Bluegrass Band (Sweden) are halfway through the making of their next album, which is being recorded at Cosmos Studios, Stockholm. All songs on the album are original compositions by band members, including 'Conwy', written by guitarist and lead singer Christoffer Olsson about the location of the annual North Wales Bluegrass Festival. More details can be found on the band's website and on the Bluegrass Blog, where there is a video made by G2 about working on their album. Coming shows by G2 in 2009 include the Jamboree at Strakonice (CZ) on 29-30 May. The recent tour by the Kruger Brothers included on 28 March a day of workshops and an evening concert at Eagle Music in Yorkshire, England, which presented the event as its annual Deering Day, featuring Deering banjos. The event was sold out. At last year’s event, Eagle’s owner, Steve Noon, was presented with an award celebrating the company’s achievement as the world’s number one seller of Deering banjos. We think this clearly demonstrates the oft-underestimated popularity of the banjo - and bluegrass music in general - in this country. The Kruger Brothers will also be taking part in this year's Grey Fox Bluegrass Festival (USA), held on the Walsh Farm, Oak Hill, NY, on 16-19 July. The Grey Fox Festival's handouts for attenders to the IBMA's World of Bluegrass 2008 said 'Welcome' in sixteen languages, eleven of which were European (not counting English). Check out the new piece on the home page (bottom center): Bluegrass in the Family, today's update. Hope you like it. Please take the time to sign our Guestbook while you're at it! Thanks! Other recent updates include Festival Info: Program, Workshops, Trade Show, Lodging; EWOB Month 2009, and, of course, News, which you can also access from the headlines on the home page (Announcements). More soon. PS: Thanks to the wonderful Thirsty Lizards for website work and lightning-quick assistance. What a great team to work with! Roger Green, who was a major contributor to the EBMA's 'Thinking of touring in Europe?' brochure of advice for US bands, also runs a weekly radio show, 'Bluegrassorama' at 4.00-5.30 p.m. on Tuesdays (repeated on Saturdays at 10.00-11.30 p.m. by popular demand) on WRYR-LP 97.5 FM, a community radio station in Sherwood, Maryland. The show is available on the internet at the WRYR website. To subscribe to the ABC newsletter, contact the band by e-mail. Bluegrass in Europe is the subject matter of 'Bluegrass thrives, far from home', a major article published yesterday (9 April) in the New York Times and International Herald Tribune. The author is Ruth Ellen Gruber, whose Sauerkraut Cowboys blog also makes available today the full text. 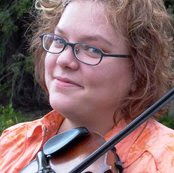 The article leads off with the concert in Prague in early March by Lilly Drumeva of Bulgaria, and goes on to outline main features of the European bluegrass scene: notably the vigorous Czech scene, epitomised by the performance by Druha Trava in Prague for President Obama on 5 April; the recent European Bluegrass Summit meeting in Bühl, Germany; and the programme of events in the forthcoming European World of Bluegrass (EWOB), with its flagship event, the EWOB Festival in the Netherlands. Other major European bluegrass festivals during the year are also noted. The article's publication is also welcomed in the Bluegrass Blog, from which the above photo of Druha Trava is reproduced. As long as there is sufficient interest, Kate Lissauer will hold these workshops, or similar ones, in 2010. She is also discussing scheduling a workshop week on musical improvisation with Stergios Loustas (of the Greek band Swingtime) and a week with Leon Hunt (UK) on banjo musicianship. Expressions of interest in these residential weeks, or requests for others, would be welcome in helping her to plan. Contact her by e-mail. For mysterious reasons some pages of the latest issue of Bluegrass Europe were not printed as they were seen on the editors computer. The correct PDFs of the pages affected are now downloadable from EBMA's Website at --> www.ebma.org --> Bluegrass Europe. You may print these pages and stick them into your copy of Bluegrass Europe for completness. We apologize for this mistake, will investigate in why this happened and do our best it won't happen again. All Concerts & Festivals during the EWOB month 2009 are now online! EBMA.ORG guides you to all that is happening during the EWOB month, as far as it is known by the coordinating body. So far, 145 concerts, festivals and other events are listed. The list will grow and will be updated if you send in information on your bluegrass events in the month of May. Rienk Janssen and EBMA.ORG webmistress Angelika Torrie will keep adding more events, and also it is thinkable that there will be some changes. More details can be found at the websites of the artists and promoters quoted in the list. Remember, all these events are organised independently, and not by the EBMA (except, of course, the Voorthuizen EWOB festival). To make sure, an event is acutally happening, please refer directly to the organisers. Lind, Klauder, and Ellis (with Nadine Landry of the Canadian bluegrass band Hungry Hill on bass) will also be playing on Thursday 7 May at the 10th Cathedral Quarter Festival in Belfast, while Powell and Savoy will be playing the same night in Dublin with the Dublin band Prison Love. DT vystoupí v neděli 5. dubna před projevem amerického prezidenta Baracka Obamy na Hradčanském náměstí v Praze, předběžný čas vystoupení v 8:50. Update 8 April: Druha Trava's performance can now be seen on YouTube here. French violinist Gilles Apap enjoys a distinguished reputation in the world of classical music. But he is also passionate about bluegrass music. Lately he has taken to ending some of his European concerts by inviting to the stage members of the band Blue Railroad Train: Thierry Lecocq on mandolin, Jean-Marie Redon on banjo, and Sharon Lombardi on bass. Gilles and his guests perform bluegrass classics arranged for bluegrass band and orchestra. Just recently, Apap appeared with the members of Blue Railroad Train at the Neueskonzert of the Freiburg Philharmonic Orchestra in Germany. The group then reconvened at Paris’s famous Théâtre du Châtelet to perform with the Pasdeloup Orchestra, the oldest symphony orchestra in France. This was a return engagement, following the warm reception garnered by Gilles Apap and his bluegrass friends at their original symphonic performance in October of 2006. A series of concerts to be held in Amiens, France, with the Regional Orchestra of Picardie has already been slated for December of this year. Jean-Marie's report can be read in French and English here. For the October 2006 performance, see the European Bluegrass Blog of 26 December 2006. Greg Cahill, leader of the Special Consensus and current president of IBMA and chairman of the IBMA board, has contributed to the spring 2009 issue of British Bluegrass News a major article on touring in Europe, based chiefly on his experience in bringing the Special Consensus to Britain and Ireland many times since the 1990s. By kind permission of British Bluegrass News, the article has been reproduced on the original Bluegrass Blog. Though its main value is as advice to other US bands on touring in Europe, it will interest European readers as showing the views of a sympathetic and welcome visitor. Wolfgang Mark of the Bühl city press office announces a press conference, to be held at 11:30 on Monday 6 April in Rathaus I, Alter Trausaal, Hauptstraße 47, 77815 Bühl/Baden, Germany. This is the first year that the Bühl International Bluegrass Festival has extended to two days. Hans Striebel, mayor of Bühl, will greet those attending the conference, and Walter Fuchs and Rüdiger Schmitt will provide first-hand information about the bands taking part. At the moment the band is working at the new CD; in fact they are writing some new songs with Italian and English lyrics, plus some re-arrangement of international covers and American bluegrass ones. In the meantime their CD Tutte le direzioni continues to receive many good reviews from magazines all over the world. The last one - from the Italian Kataweb, the most important musical web site - writes: 'One of the best, original and innovative acoustic band in Italy'. The Mideando String Quintet, which already has a website and MySpace site, is now also on Facebook.